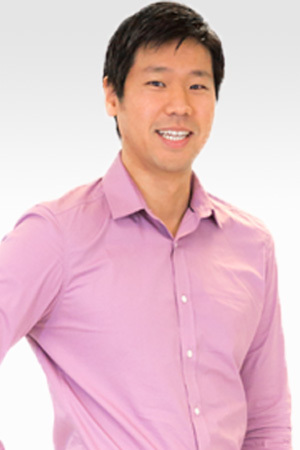 Bo Kim received his Bachelor of Science in Life Science from the University of Toronto, and his diploma for Traditional Chinese Medicine from the International College of Traditional Chinese Medicine of Vancouver. He also completed the Chinese Herbal Medicine Program at PCU College of Holistic Medicine in Vancouver and holds an Acupuncture license in both Canada and Korea. As Bo practised as an acupuncturist for Korean national athletes and seniors with chronic musculoskeletal diseases, he discovered that the body’s inner strength is essential to prevent disease and to minimize factors that perpetuate illness and injury. In the Elite Sport Performance clinic, Bo applies a variety of techniques to get his patients back on a path to wellness. He uses his knowledge as a registered acupuncturist to strengthen the body’s core and balance the meridians while reducing a patient’s pain. Bo also specializes in relieving musculoskeletal pain, including the mal-alignment syndrome that occurs when athletes perform repetitive asymmetrical movements. Due to his keen interest in musculoskeletal injuries, Bo was delighted to be invited to work as a team doctor for the U20 National Hockey Team of Korea and the professional ballet dance theater.